Local SEO is a great way to get your business in front of the people that matter the most – those around you. If you are a local business, you don’t really have a need to be reaching people all across the globe. If you are an attorney in Atlanta, you probably don’t have a need to reach into San Francisco or Chicago. Instead, you want to reach people in your local area. But how do you do this when you have a company that does have many locations? Well, you have to optimize for it. Ranking with local SEO is very different from organic search. It is highly specific and must be locally targeted with strong signals. There are many ways that you can do so, but, unfortunately, there are also a lot of penalties if you do it the wrong way. 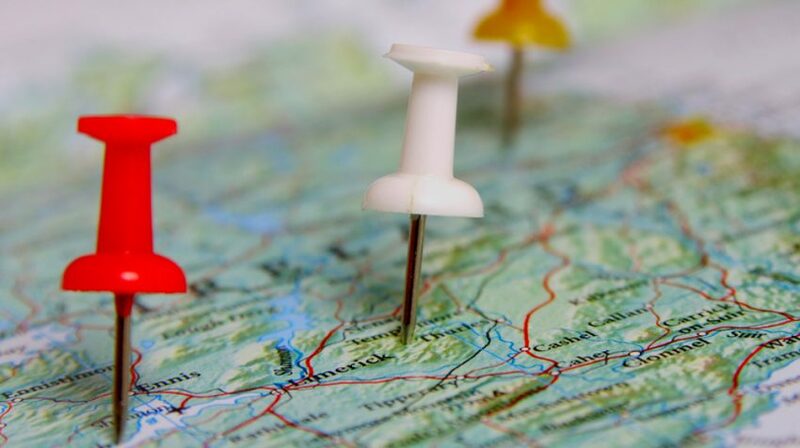 Here is how you can get all locations of your business out there with local SEO. The first thing that you need to do when targeting multiple locations is create unique URLs for each location. Make sure that you also include the URLs on your site map. After your location has a URL, you want to focus on creating content for the page that is local and highly optimized. When creating your SEO-friendly landing pages, there are four things that you want to make sure you optimize for: title tag, meta description, H1, and your content. All of this needs to be optimized for the local keyword phrase. Your title tag should include the local keyword phrase in front, the title of the article, and then some sort of branding – maybe your company name. Your meta description should also include the target location keyword phrase. You might also want to consider including your phone number as a local signal. You can also count this as a point of conversion. Having the keyword phrase in your meta description doesn’t help with your rankings, but it will help prove a local relevance. Your H1 also needs to have the local keyword phrase, but you want to make sure it doesn’t come off as spammy. Instead, it should be short and catchy. Since each location has its own URL and landing page, you also want to make sure that the content on the pages is unique for each location. You can’t use the same content on every page. The content must be suited for the location that you are talking about, and it needs to be quality work. Generally, longer is better – at least 400 words. If you don’t already have a Google My Business account, you need to get this setup as soon as possible. This is crucial so that your business information will be shown in other Google channels like maps, search, and Google+. You want to make sure that your name in Google My Business is the actual name of your business. Do not include a location or a keyword. For example, Visiture has two locations, one in Charleston and one in Atlanta; however, for GMB, we would just list our name as Visiture, not Visiture Charleston. Your address should also be as accurate as possible. One thing to take into consideration is consistency. If your address has NE in it other places on the web, then you want to make sure that is included in your address. One other point you want to make sure you include in your account is your phone number. This should be a local number that goes directly to your company. Each location should have their own number, and all of this should be the same information that is found on your website. Social media can greatly help your SEO efforts and can improve your business’s local search results. Google crawls social media sites just like it does any other web page. It will look at the number of Facebook likes, shares, and posts that include your website; Twitter followers and tweets; and more. The more engagement that you have on social media, the more you look better in Google’s eyes, and this will help you go up in the SERPs. Social media is something that every business should be incorporating into their marketing strategy. Make sure that you are putting your content on your social sites and promoting it to your audience. If you have multiple locations, it is important to create separate pages for each location so that you can get more authority for each. This will also help you to be more visible and help people who are searching to find the correct location. With Facebook Locations, you can easily set up and manage multiple pages for all of your locations. In today’s SEO world, directory listings are not as popular as they once were, but they are still very important, especially when it comes to local SEO. These directories can help you get links and rankings for your locations without too much effort. Let’s say that one of your keywords is extremely competitive, and you’re having a hard time ranking for it. However, you notice that Yelp ranks for that keyword. You might not be able to rank for the keyword, but you can appear in the local directory. Also, more links that you build and more mentions of your business will help you in the rankings. You also want to make sure that you are not just listed in these directories, but that you are being reviewed on them. 90% of customers say that they are influenced in some way by reviews. Also, Google reviews and other large sites are known to show up in search results very predictably, so they can help you with visibility. Start out with asking your current customers to review you – maybe even offer them some sort of incentive for doing so. Make it easy for them, and tell them step by step how to review you. People don’t want to do more work than they have to. Local SEO should be a vital part of your digital marketing strategy, especially if you are a brick and mortar location. You need the people around you to know about your products and services. However, you must remember that local SEO is very different from average SEO, and you have to optimize it accordingly. With these tips, you should be set to get your business ranking in the local SERPs.